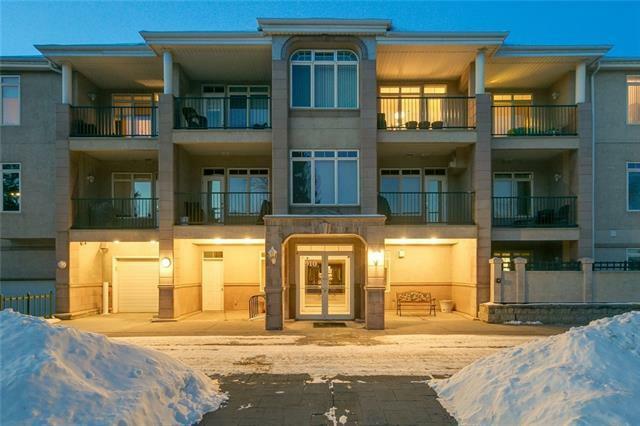 STUNNING 2nd FLOOR 2 bed 2 bath CORNER UNIT which has been COMPLETELY RENOVATED throughout!! 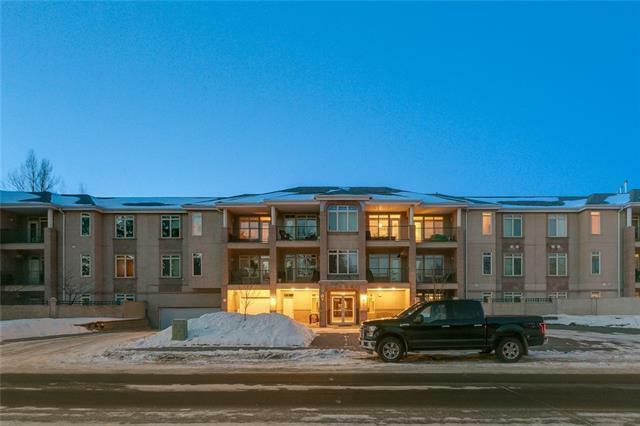 Located in the SOUGHT AFTER Kelvin Court building (adult 40+), this property is in a prime location w/ quick access to downtown, Chinook Centre, LRT station & so much more! 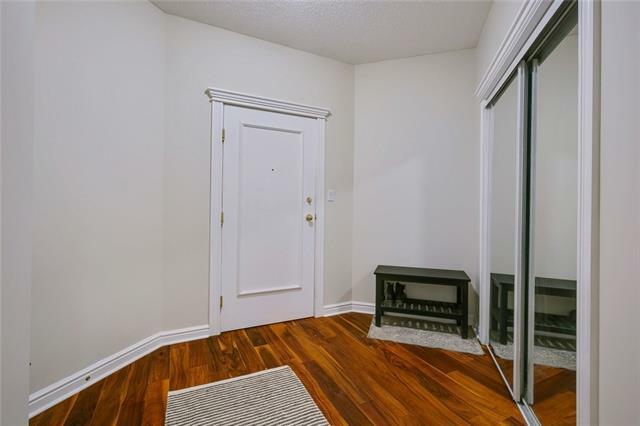 This TREMENDOUSLY UPGRADED unit features A/C, 9 ceilings, wood floors, hand crafted lighting, NEW paint, RENOVATED baths + a Spacious layout including a GORGEOUS OPEN kitchen w/ GRANITE, S.S. APPLIANCES, breakfast bar + tasteful dark cabinetry! Entertaining is made easy w/ this open concept design complete w/ spacious dining rm & living rm w/ GAS FP. The GENEROUS Master includes warm, neutral dcor, Walk In closet + newly RENOVATED ENSUITE!! The guest room is complete w/ California closets & the guest bath is also NEWLY RENOVATED! 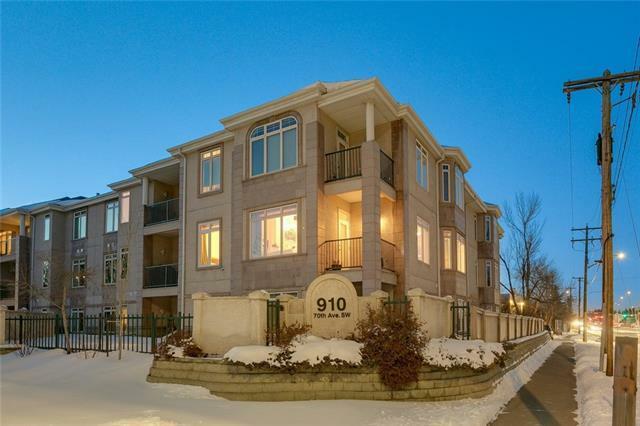 This STUNNING condo is LIGHT, BRIGHT, has floor to Ceiling windows, in-suite LAUNDRY + a Huge SE BALCONY! Low condo fees, 2 TITLED UNDERGROUND parking stalls + an underground STORAGE UNIT make this an AMAZING DEAL! !